I was recently contracted to develop a Lightweight Tarp system. This design is one of three I developed and features a removable mesh inner. This two person version weighed just 1 kg. 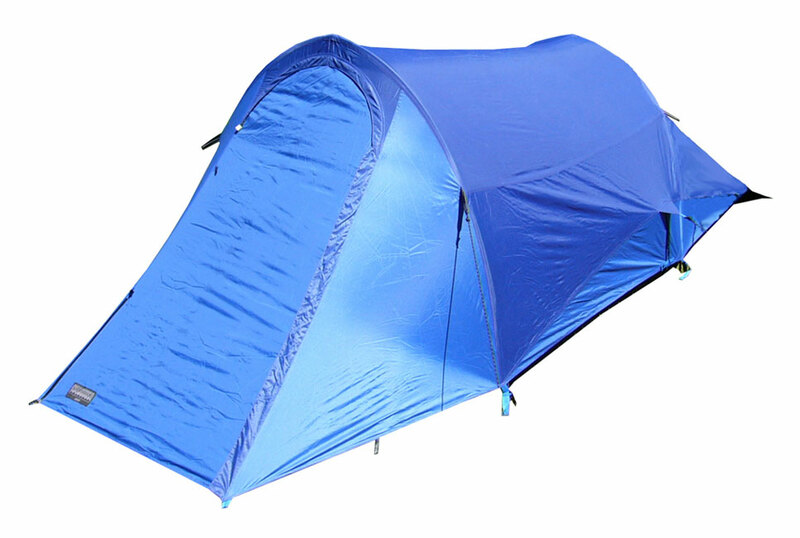 Having developed numerous tent styles over the years I expect that any reputable tent brand selling in this part of the world should be able to deliver on weatherproofness, and therefore this aspect of tent design should be a given. 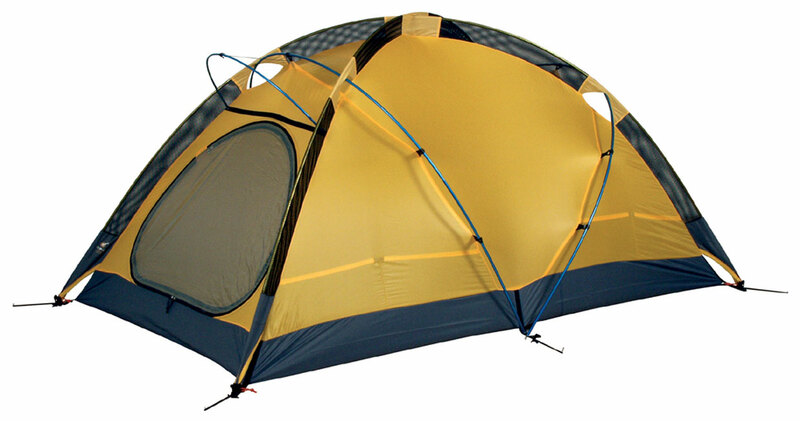 In general terms, the strength of a tent tends to be dictated by the number and quality of poles forming the structure, and tent weight usually increases as strength and/or size increases. The real challenge for me as a tent designer was addressing condensation. 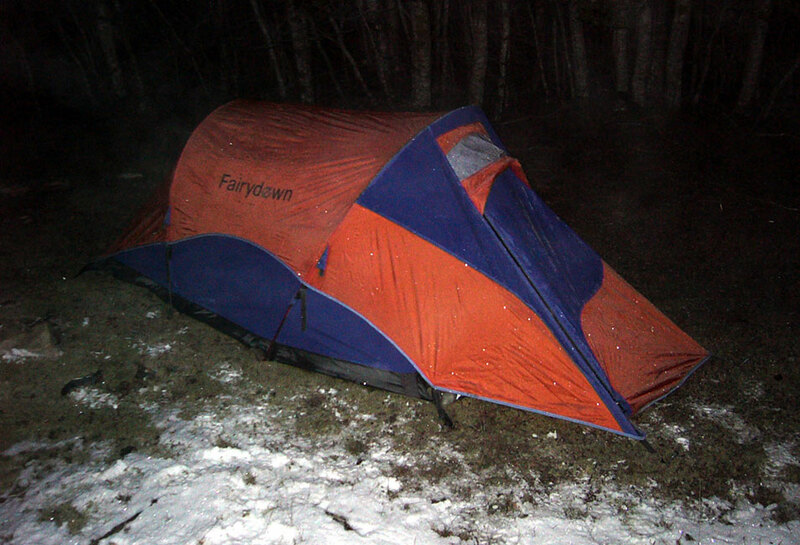 I had successfully done this with the Fairydown Evolution but I needed a solution that could also be applied to traditional double walled tents. 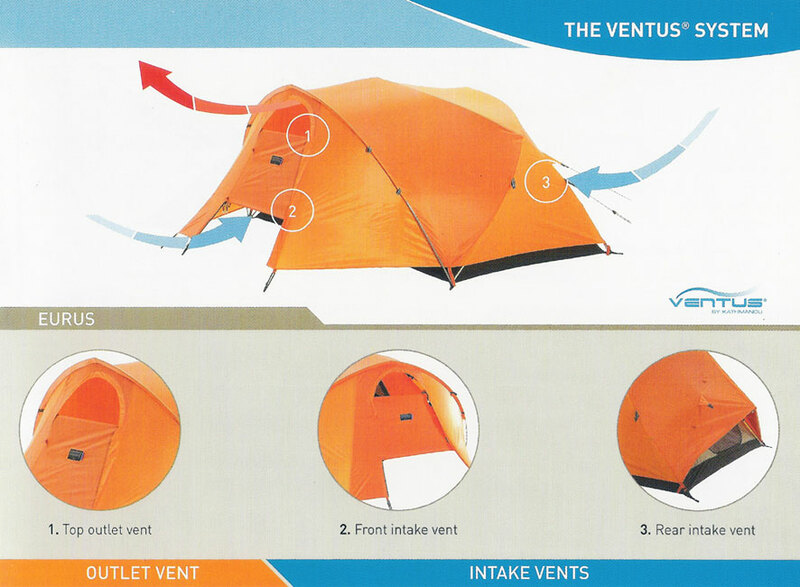 The new system I developed while redesigning the Kathmandu tent range redefined tent venting. This system utilised large ground level intake vents that were positioned either at the front and rear or front and side of the tents to capture and draw in the moving external air. The unique design of the front doors enabled a large outlet vent to be positioned as high as possible on the tents to allow the warm moist air to escape. 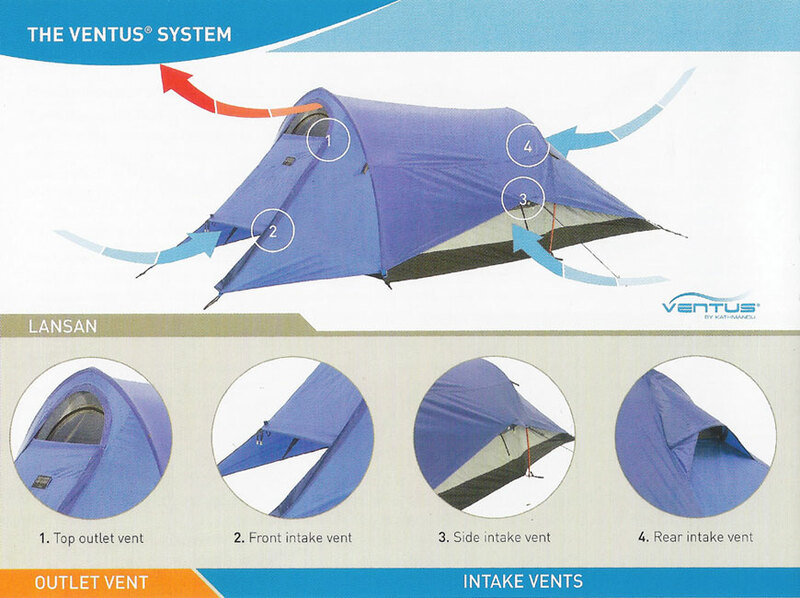 These two vent systems working in combination increase airflow through the inner tent and under the fly increasing comfort and reducing the amount of warm moist air that can potentially condense. 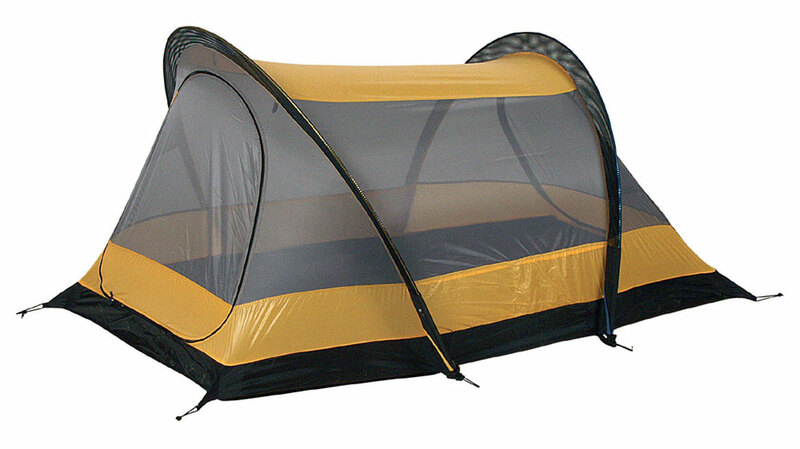 These vents align with mesh panels on the inner tent and can all be closed off from the inside in extreme weather. 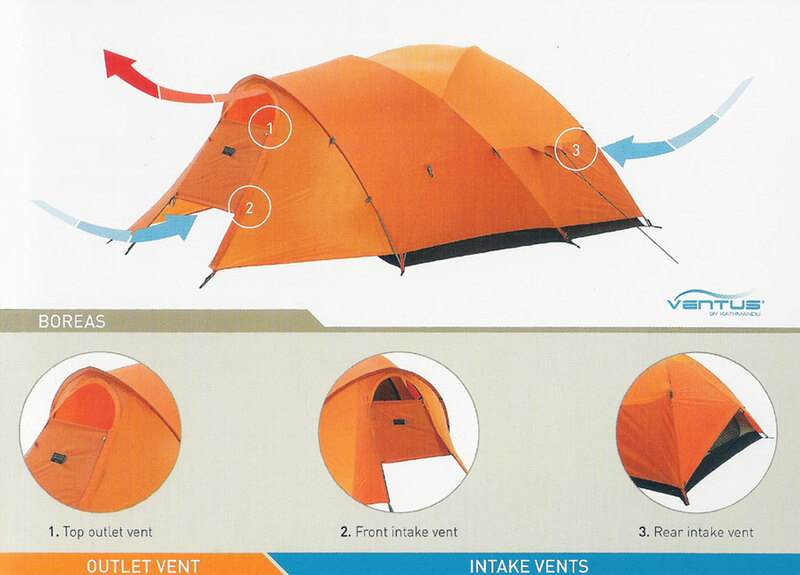 The side vents of the Lansan and Lansan Plus can be guyed out increasing the distance between the inner tent and the fly further reducing condensation. 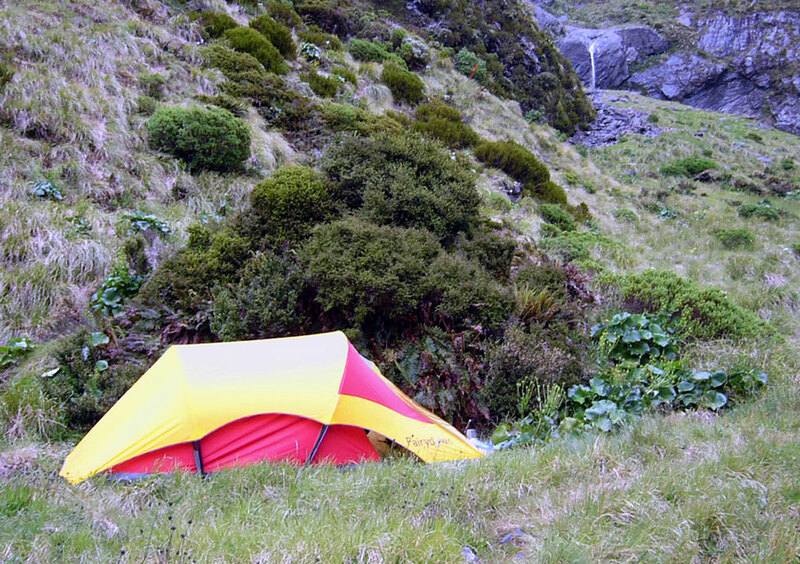 This system was incorporated into four of the nine tents I designed for Kathmandu which included three mountain, two trekking, two ultralight and two travel tents. The vent system I developed was named the Ventus System and was one of the finalists in the 2009 Australian International Design Awards. 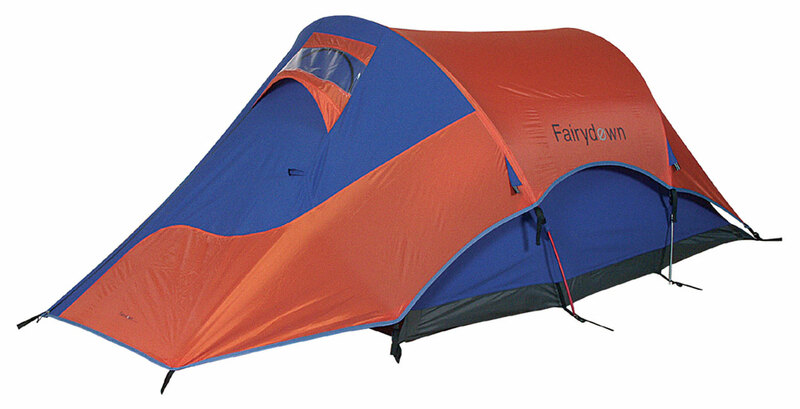 The 2005 Fairydown Tent range was a solid offering and the result of years of testing and development. 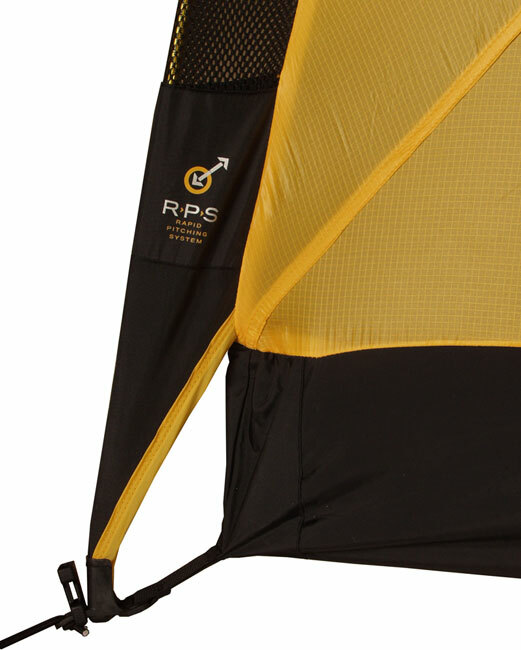 It included expedition mountaineering tents and a range of backpacking tents and featured various pole configurations, a return to the rapid pitching system (RPS) and new fabrics and DAC poles. This innovative tent design went further than any other previous design in successfully combating the issue of condensation build-up in tents. Having developed and tested several different tent designs including many single skin designs I was familiar with the benefits and limitations of both double and single skin tents. The Evolution concept gestated in my mind over many months before I felt it was resolved enough to begin the design work. After developing and testing several prototypes, the samples were ready for release to market. Below is the catalogue copy I wrote describing the Fairydown Evolution design. 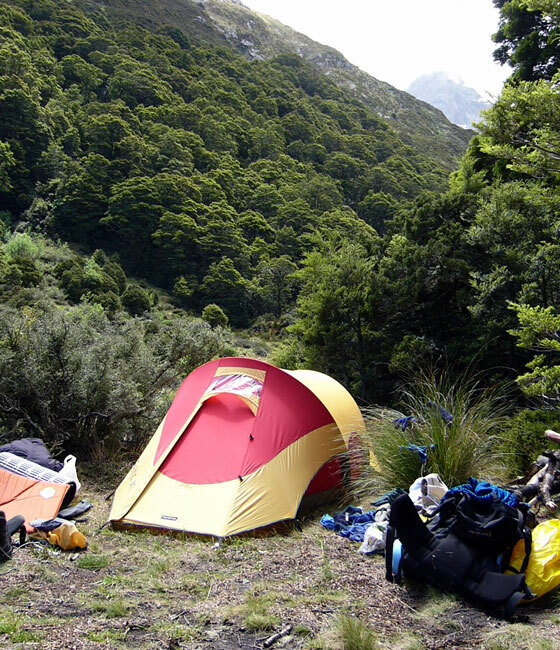 “Ever wondered how much more your tent weighs, wet with condensation after a rainless night? Or dreaded crawling out of your tent in the morning through a vestibule wet with condensation? 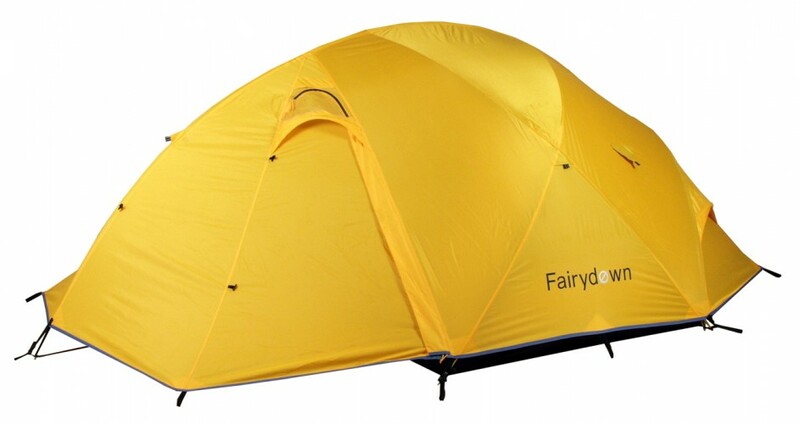 Introducing the Fairydown Evolution. 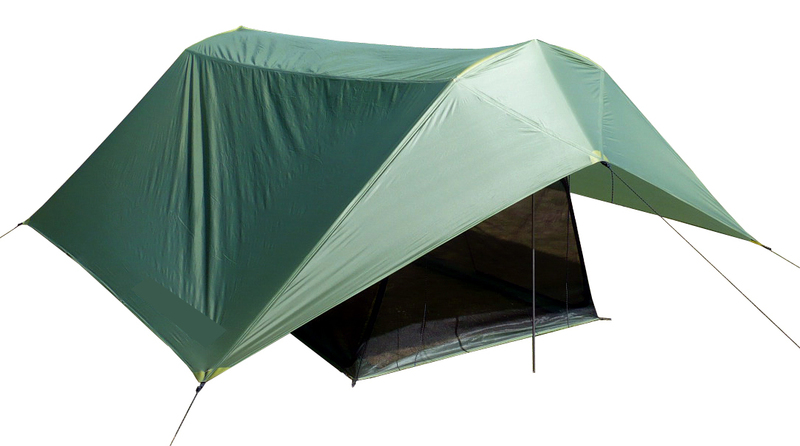 The Evolution is an innovative new design that utilises both waterproof breathable single skin and traditional double skin tent technologies to eliminate the problem of excessive condensation whilst retaining excellent weatherproofness and low weight. 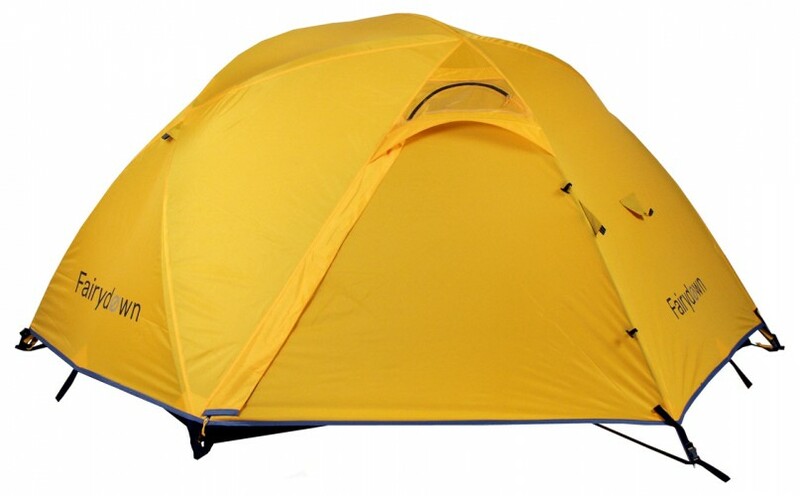 Traditional double wall tents have the advantage of excellent weather protection for minimum weight and cost. However in most conditions a typical vent system is totally inadequate at preventing condensation building up on the inside of coated fly fabrics. 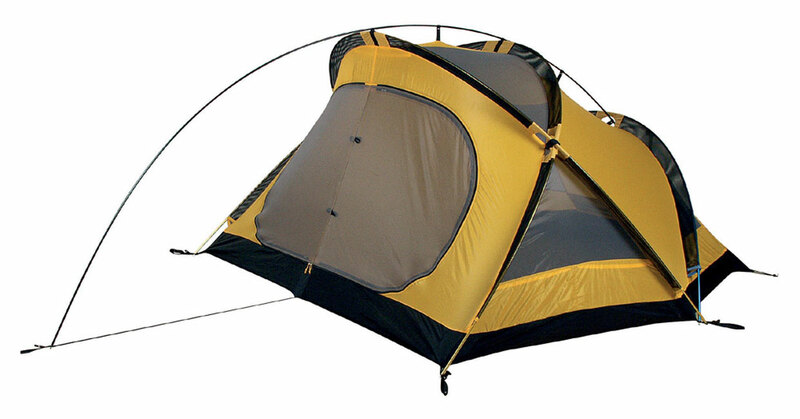 Single skin tent designs vary in performance depending on the type of fabric used. Many fabric options are now available, all with good levels of waterproofness. However the level of breathablity varies considerably, and even with high levels of breathability, conditions will often dictate the effectiveness at dealing with condensation. 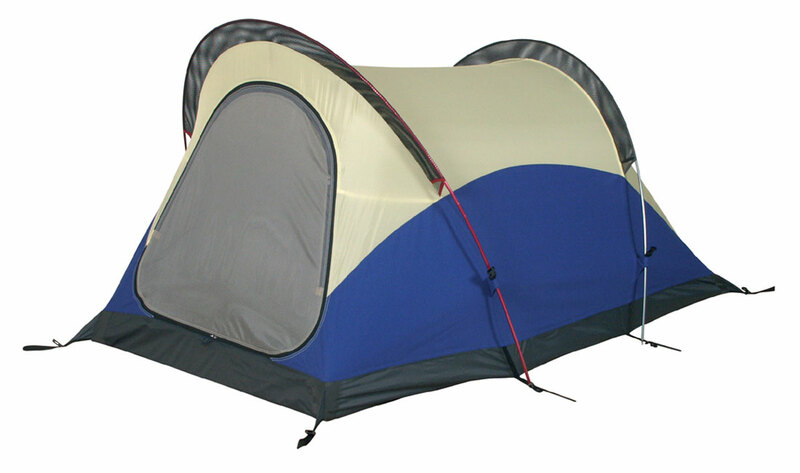 Generally as single skin tent fabrics become more effective they also become heavier and more expensive. 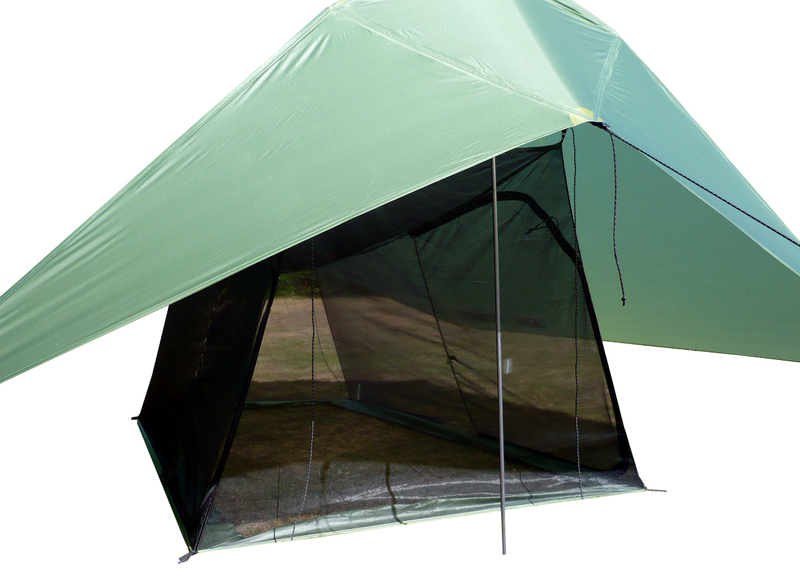 Single skin tents also require more engineering to prevent them leaking, adding further to the weight. Single skin tent designs that perform well in wet conditions are generally expensive and are no lighter than an equivalent double skin design. 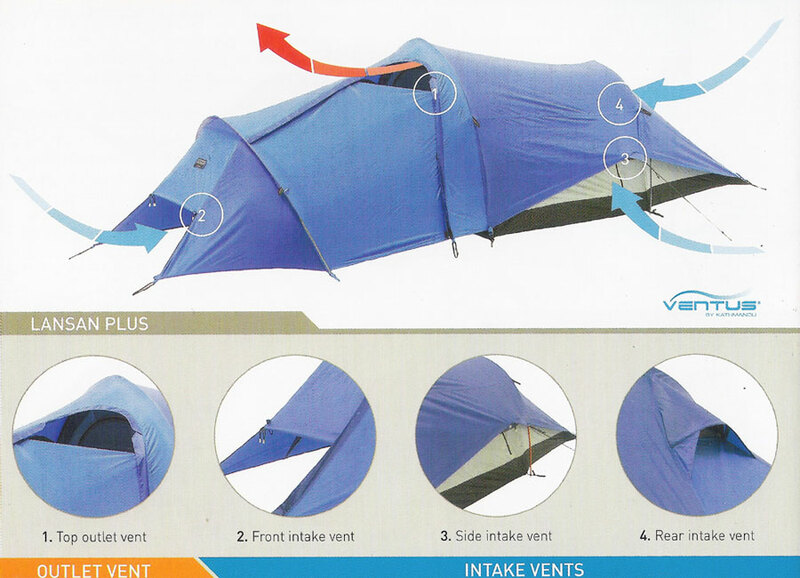 This well resolved and thoroughly tested design took tent functionality to a new level. In 1996 I developed a system that would enable tents to be erected faster and more easily. This system was named Rapid Pitch System (RPS). The central component of this system was a moulded elastomer foot. One of these was attached to each end of each pole sleeve. Allowing each end of the pole sleeve to function as both an open end and a closed end. When a pole was fed into one of the pole sleeves the pole end would automatically self-locate in the moulded foot at the opposite end of the pole sleeve from which it was fed, allowing the remaining pole end to be locked in place at the closest pole sleeve end. This could be done in one fast and efficient action without having to move around the tent multiple times. 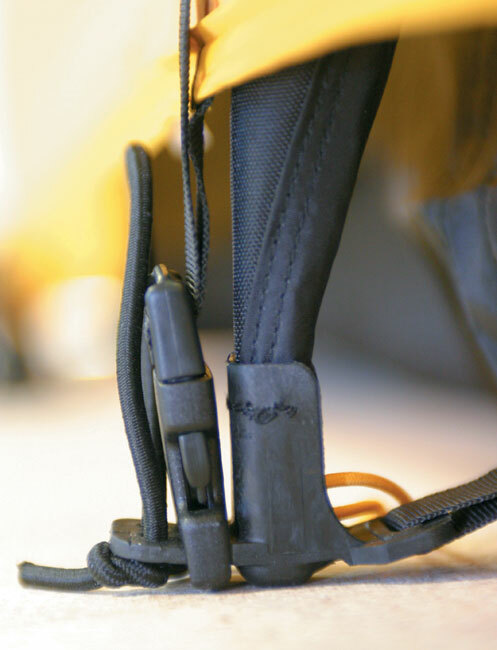 The moulded foot also integrated with a side release buckle for secure fly attachment and adjustment and also had holes for the attachment of elasticated peg-out loops. This system was deservedly patented by Fairydown and was used for many years after its initial development.